Ages ago, at the dawn of time, there had been a modeling contest about modeling a head, an Olmec giant head. I took part. Fast foward to a couple of days ago, when I re-discovered the model gathering dust on my harddrive. Now it can gather dust on your harddrive too. Standard rules apply, free for commercial or personal use but do not redistribute. If you use it commercially I would enjoy if you show it off here. Of course, you could also use it for Sci fi pieces as a part of some ancient alien ruins. Deep Grudge, the supercomputer of the ancient alien invasion fleet. Actually, when I first saw the object here, I pictured it drifting forlornly somewhere on outer space, and some traveller in a space ship staring at it wondering, "How the heck did that get out HERE?!? I mean, I've seen these in South America on Earth, but....!" It's the lack of ivy convering it that's doing that, isn't it? That said... I'm actually more likely to use something like this as an object de art sitting on someone's shelf somewhere in the background in a scene. 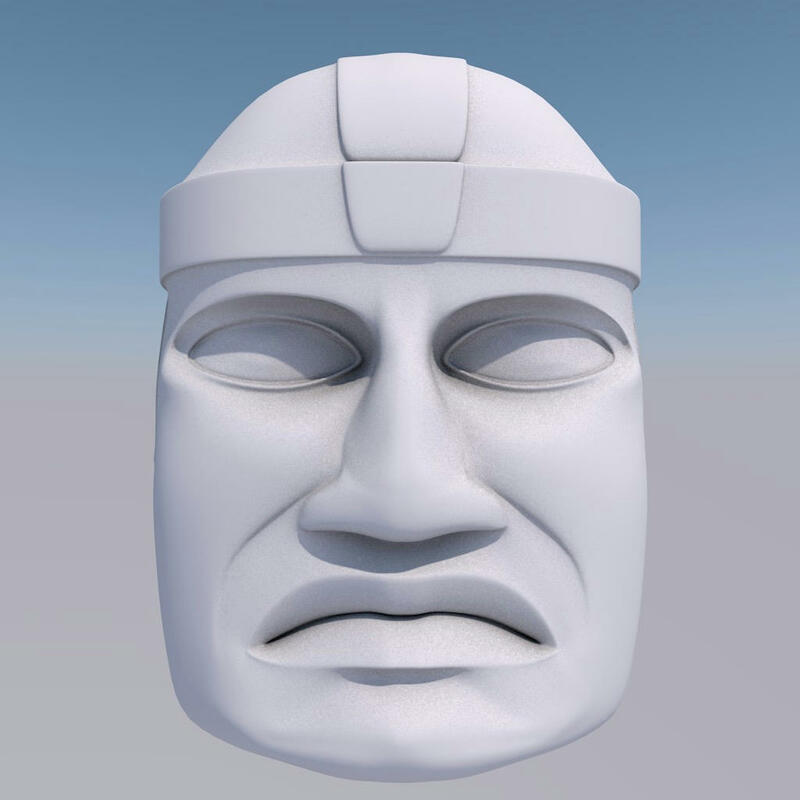 Thank you for the Olmec head statue. Brings back memories of Pre-Columbian art history. I dropped him in a kit-bashed jungle and a jaguar promptly took him for a throne.